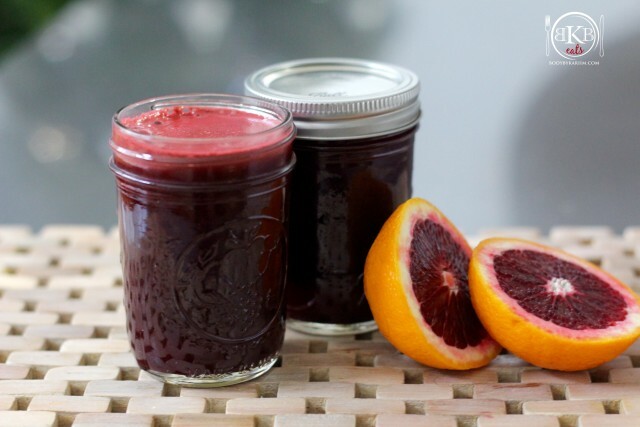 Blood Orange: since this is our first time using the super food known as the blood orange in a recipe, I wanted to highlight some key benefits. 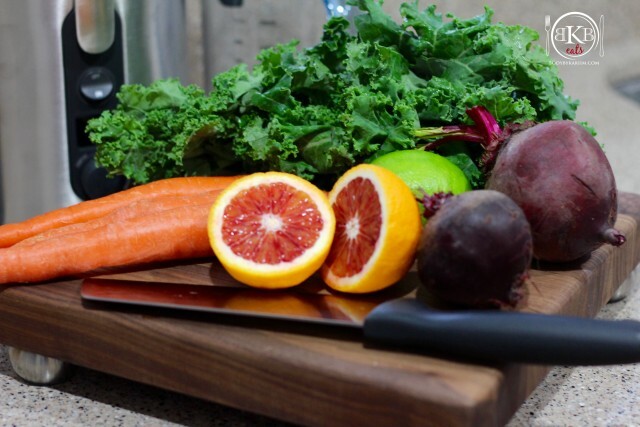 Contain more vitamin C than any other citrus. Studies show they have the ability to fight inflammation and the risk of Alzheimer’s and Parkinson’s. 1. Juice all ingredients in the order listed. 2. Stir well. And Enjoy. *Tip: If drinking right away, pour over ice. If not, pour in mason jar, screw on lid to secure freshness and place in the refrigerator.